Story is the underlying magic behind every movie, show & video game we love. Well, maybe not so much Pac-Man. But modern entertainment focuses heavily on great storytelling. I’m a firm believer that every artist should be a great storyteller. In fact, storytelling is really an art form unto itself. And if you’ve ever wanted to be a master of storytelling these online courses will help. There’s plenty here to cover the basics and get you crafting beautiful stories for any project. With all the free information on Khan Academy I have to say those teachers are doing God’s work. It’s so hard to find quality information online. And it’s even tougher knowing who to trust. But Khan’s Art of Storytelling course is one of the absolute best resources to start learning about story. First of all, it’s totally free. So that’s awesome. But secondly it’s part of a much larger content curriculum named Pixar in a Box. 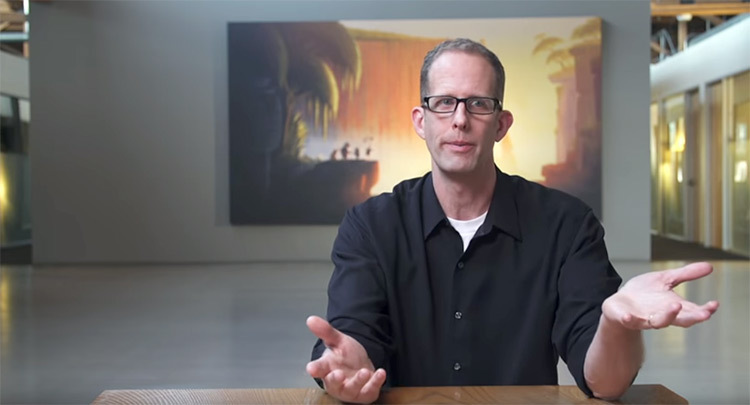 This offers a behind-the-scenes look into Pixar Animation’s workflow with tons of lessons on 3D animation, character design, rigging, and (naturally) storytelling. All you need is a Khan Academy account to start the course. It’s free to sign up and you can save your spot anywhere to work through the lessons week by week. This course teaches so much about character development, personalities, creating realistic worlds, and knowing how to end a story the right way. All crucial aspects of good storytelling. For a completely free course this is absolutely superb. Definitely my first recommendation for writers or aspiring writers in any field. The MasterClass series has to be the largest library of online learning materials taught by real-world professionals. Basically this site offers digital classes online covering a wide array of topics from photography to cooking. The catch is that every class is taught by well-known professionals with names you can’t ignore. 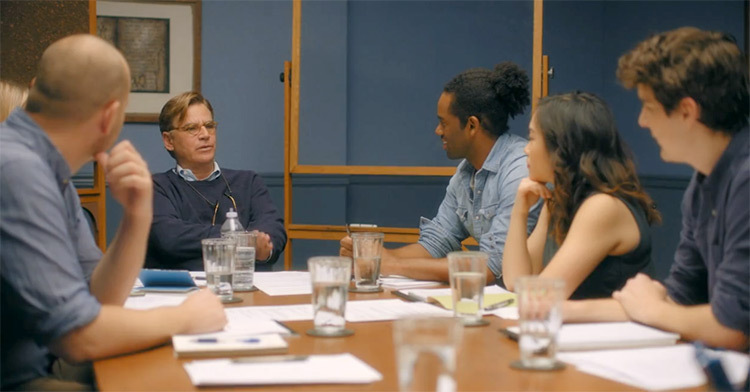 For example this Aaron Sorkin class teaches anyone how to get started with screenwriting. Aaron’s experience includes movies like A Few Good Men along with TV shows like The West Wing. He’s got plenty of years in Hollywood on both sides of TV & movies so this is one voice you can trust. That’s also the reason his course so high up in this list. Aaron’s MasterClass should appeal to anyone hoping to learn storytelling. The 3-act structure can be applied to novels or video games just as as well as TV & film. The course spans 35 different lessons split up into chapters that you can follow at your leisure. The MasterClass website is very well-designed and certainly one of the easiest dashboards to learn. Even novice writers can pick up this course and learn a lot from Aaron’s teachings. MasterClass has a feature called “office hours” where you can submit your writing for critique from the class with some being critiqued by Aaron directly. No matter what type of storytelling you’re hoping to do, this course is by far the best starting point. Especially if you’re an artist with a focus on entertainment art. Another MasterClass that I highly recommend is Shonda Rhimes’ TV class. This follows a similar format with digital lessons and videos split into chapters related to TV writing. The only difference is that Shonda teaches the course with a direct focus on television writing in the writer’s room. Most writers who work in TV, both live action & animation, all work with a group of writers to come up with ideas for each episode. The process is very different than film or video games so this course is crazy valuable for anyone with an interest in TV storytelling. 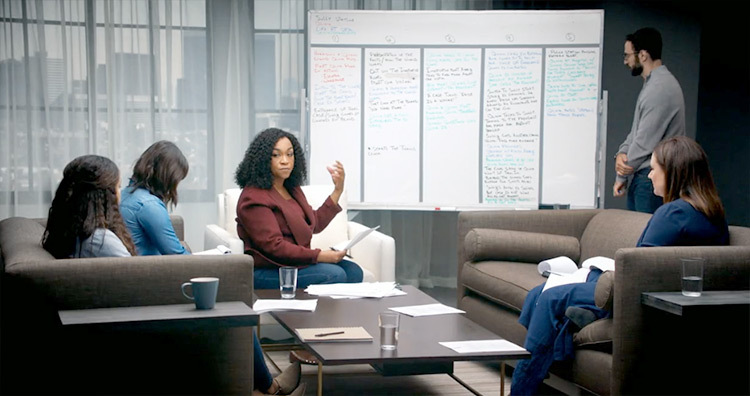 Shonda uses examples from scripts of popular TV shows like Grey’s Anatomy to illustrate her points. Later in the course she also breaks down a few TV pilots so you can see how the acts play out, how the characters develop, and how you might follow a similar process in your own writing. There’s so much to say about this course so I’ll keep it short with a final question. Do you wanna write for TV sitcoms, primetime animation like Family Guy, or kid’s cartoons for networks like Nickelodeon? Then you can’t afford to go without this course. It will make that much of a difference in your storytelling abilities. All good writing is partly dramatic writing. This is true even for comedies where the tone is humorous and uplifting, but the stories always revolve around drama. 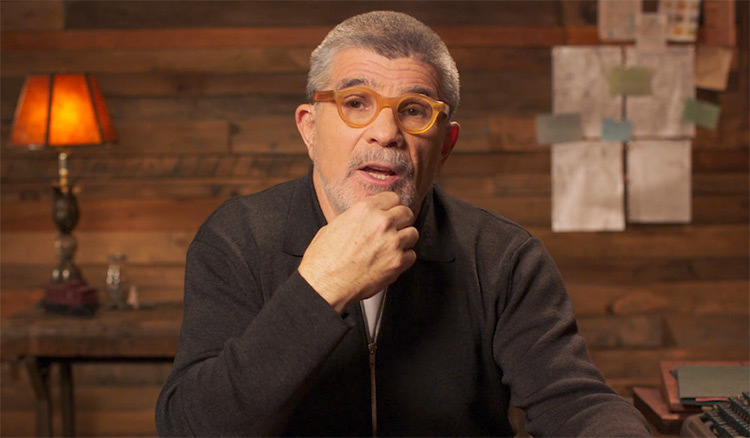 There’s a MasterClass taught by David Mamet on dramatic writing and it’s one of the finest classes touching upon foundational ideas in storytelling. Note that David’s career is a little different since he’s known for his novels and plays. As a playwright he looks more towards the dramatic side. But you can take these ideas with you into every type of storytelling from video games to indie movies or even screenwriting in Hollywood. All you need are the foundations of storytelling first. Once you have those you can change mediums and test your writing skills anywhere. And that’s exactly what David attempts to teach in this 26-lesson course. He covers a lot of the ideas behind drama and some “dramatic rules” to keep your audience engaged. Other topics delve into plot development and creating scenes that feel true to your story. 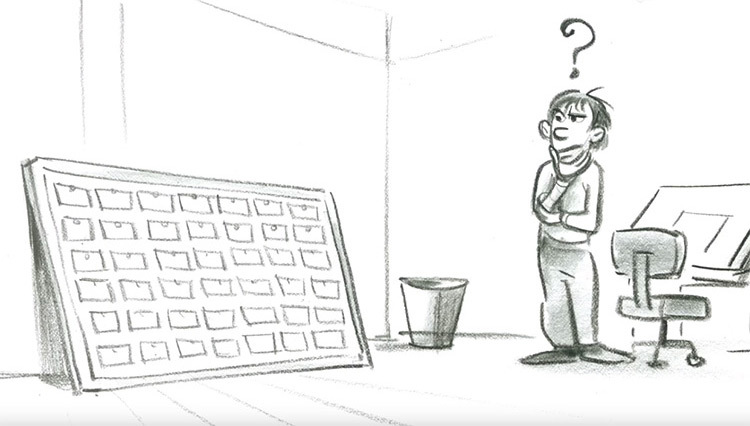 Remember that even storyboard artists need to be masters of storytelling. If you can draw scenes that evoke realistic expressions from characters then you’ll be many steps ahead of any other story artist. Same goes for writers who only study plot or jokes but never work on drama. I wouldn’t say this is a staple must-buy for storytelling. But it will unlock many doors and help you understand your writing a lot better. That’s why I actually recommend grabbing the all-access pass to MasterClass. It’ll cost a little more but you’ll have access to every single course on storytelling + a ton of other courses on really valuable subjects. A while back I specifically recommended Aaron Blaise’s content in my list of art courses. He’s a legendary animator with decades of experience working at Disney Animation Studios alongside some really great talent. Over the past few years he started publishing video courses on the web to help artists improve their skills. But one unique course that veers away from art is STORY! For Live Action & Animation. This one is taught by Chuck Williams, a veteran of the entire entertainment industry with experience in video games, film, and TV. He’s basically done it all: editor, screenwriter, producer, you name it. In this online course Chuck teaches you everything he knows about storytelling for entertainment. He uses examples from pop culture to break down the storylines of movies and explains some really crucial concepts on writing. If you’re an artist this will prove invaluable to your storytelling abilities. For everything you get this has to be one of my favorites for all-around writing. The techniques you’ll learn in this course were learned over Chuck’s three decades in the entertainment industry. I can’t think of many other people who would be more equipped to share this knowledge. Udemy is a mixed bag of content with some courses being truly amazing, others falling flat and disappointing students. If you search Udemy for writing courses you’ll find a lot. But there’s one specific course on video game storytelling that I highly recommend: Writing Interactive Stories for Video Games by Prof. Michael McIntyre. It’s a massive video course with 6-hours of videos and plenty of pre-written exercises to practice your game storytelling. The course breaks down the plots of many popular games so you can learn how the pros design engaging content for players. Anyone who wants to go into the video game industry should at least consider a copy of this course. It may not turn you into a masterful storyteller overnight. But it’ll help you understand the nuances of game design, specifically the little details of great storytelling and plot development for video games. If you’re big into video games then I also suggest Story and Narrative Development for Video Games hosted on Coursera. Their platform is totally free to join and it works a little differently than Udemy. They have courses taught by professors with teaching experience from well-known universities. Some of the content is released for free if you sign up to the site. But this course has an attached fee depending on the release date(many courses are time-sensitive). This is one reason I don’t particularly like Coursera because it can be deceiving. However the content here is crackerjack. They get top teachers and faculty from schools all over the world who are experts in their fields. This story & narrative course is taught by a professor Dariush Derakhshani from the CalArts film school. 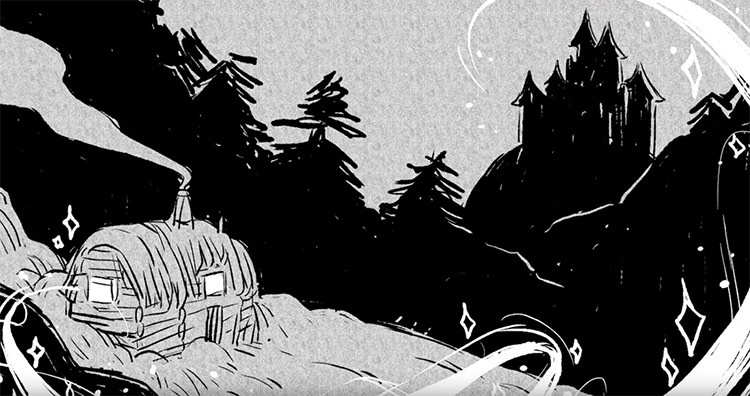 He covers basic game storytelling, developing characters, and how to create your own worlds from scratch. There’s even a workshop on how to design your own story from scratch with teacher commentary along the way. If you’re curious to check it out just sign up for a free trial and see what you think. 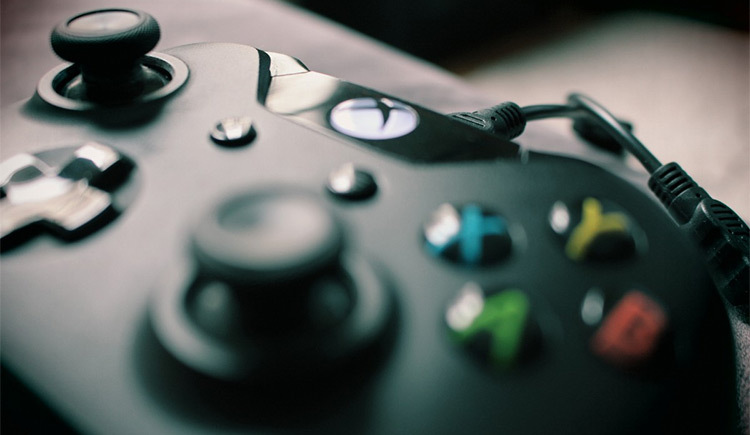 Coursera’s video quality is top notch and this course is absolutely worth your time if you ever want to develop your own game or write for the gaming industry.